Jeanne Marie Marquette – Olds Russ Marquette & Peace, LLC. Jeanne Marie Marquette (Stephens), a Pennsylvania native, received her BA in History from Duquesne University. She went on to receive her Juris Doctorate (J.D.) from the University of Pittsburgh School of Law in 2001. While in law school, Mrs. Marquette completed a concentration in Estate Planning, Estate Administration, Taxation and Elder Law. She found herself first drawn to the up and coming field of “Elder Law” after participating in a semester long newly created Elder Law Clinic, run by the esteemed Prof. Martha Mannix at the University of Pittsburgh. While in law school and after, she was employed by Deloitte and Touche, first as a Tax & Legal intern and then as a consultant. In 2005, she opened her own solo practice (Marquette Law Office) focusing on Estate Administration, Estate Planning, Real Estate, Elder Law and a growing Guardianship Practice. In 2017, Ms. Marquette chose to join her growing practice with fellow partners, Nora Peace, Carolyn Russ, and Ed Olds. She also serves as legal counsel for Ursuline Support Services, a non-profit agency providing private and court-appointed quality guardianship services to the surrounding counties. 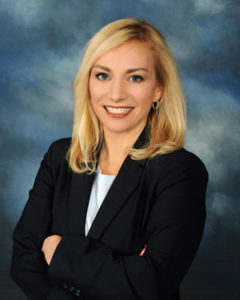 Ms. Marquette’s legal training combined with her hands-on experience dealing with clients has provided her with a competitive edge and compassionate understanding of the needs of her clients. Ms. Marquette is willing and happy to make house calls when needed and is available to make calls to nursing homes and hospitals in emergency situations.